As more coaches enter the world of strength and conditioning and face the task of developing programs for young athletes, there is no shortage of training programs to follow. The internet provides about as many exotic exercises and programs as there are gurus and coaches. Each is selling systems or methods to achieve gains in size, strength, power, or speed. It is challenging to determine which will be the best system when there is such a tremendous volume of information. Of those who have learned and implemented The System, it is the rare few who go back to their former methods. To master it will take time and effort. It will take a drive for excellence with a hard analysis of your previous biases and deficits in constructing training programs. We have already logged the hours, the miles, and the frustration to refine our combined 80-plus years of coaching and learning into this blueprint for success. Now that we are nearing the end of our careers and the threat of young upstart coaches taking our jobs is gone, we want to pass on the methods and plans that led to our successes. Although you might think that a training system that is 28 years old is already past its prime, we promise you that its time has really just arrived. First, a disclaimer: This is not an exhaustive review and application of our programming system. To do justice to what we were taught and learned through the years would take more than a book to capture. Our hope is that providing a foundation of the concepts and creating a few starting points will provide even the least-experienced strength coach an opportunity to implement a more effective and systematic approach of training for sports performance. There are endless opportunities to manipulate the training variables within our framework to account for the challenges that will inevitably arise when training athletes. There is no such thing as a one-size-fits-all approach to programming, and even the three of us had difficulty agreeing on some of the specifics we present in the book. As you gain years in the field, you will continue to learn, reflect, and grow. 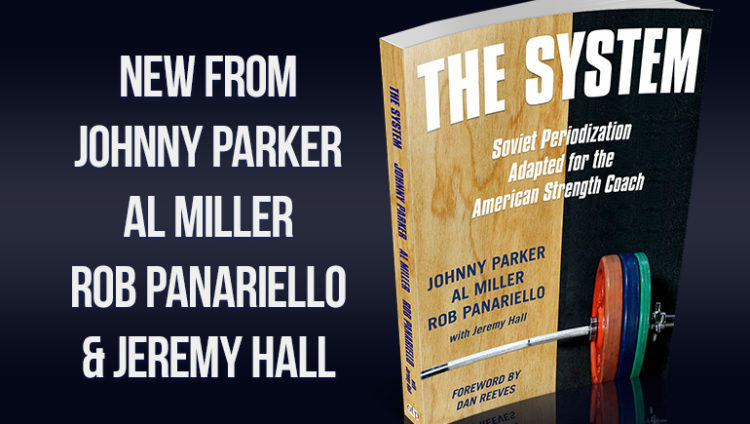 We hope this book will provide either a new perspective or an opportunity to adapt your current training so you can achieve even greater success.